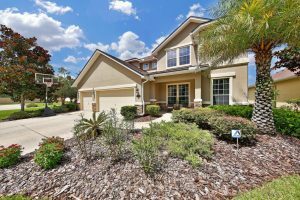 Bring your buyers to this gorgeous 5 br 4 bath Rosewood home in the beautiful Eagle Landing Golf Community on the 14th Green. This 3/2 home on a quiet cul-de-sac is the perfect cosmetic reno opportunity! Choose your own finishes! 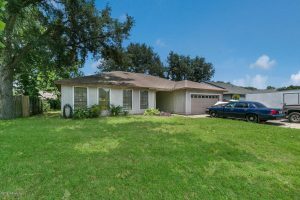 A short walk to Publix, Starbucks, shops, restaurants, and Ed Austin Park. Enjoy the atrium in the foyer as natural light shines down through double-pane glass skylights. Leading into a spacious living room complete with a wood burning stone fireplace and office nook. Large screened-in patio overlooks the fenced backyard. Separate dining area open to both the kitchen and the living room. 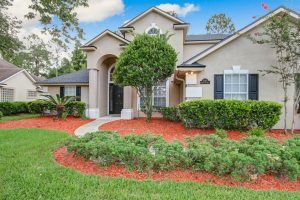 Featuring a split bedroom floorplan with a huge master complete with two closets (1 walk-in) and a master bath with a double vanity and large shower. Insulated 2-car garage, HVAC 2 years, separate laundry room, well irrigation system, security system, and a shed in back. 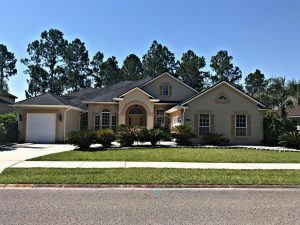 Come see this beautiful 5 bedroom, 3.5 bath home in South Hampton on a Cul-de-sac lot overlooking a pond with relaxing fountain! This home has a very large screened in lanai providing ample outdoor living space. It sits on a nice sized lot with a fenced in backyard. The kitchen has granite countertops, stainless steel appliances, center island & breakfast nook. Large bonus room upstairs, perfect for an office or second living area for kids. Concrete block construction on 1st floor. Three car garage! South Hampton is a golf club community with a brand new amenity center including a pool, splash pad, gym, indoor & outdoor rental areas for get-togethers, playground & sports fields. Great neighborhood events throughout the year for children & adults. Top rated schools. NO CDD FEES! Call today!